Using the dataset collated by Nolan et al and OECD data, I calculated the growth in real median incomes vs real GDP per capita from about 1980 to 2010. If the two had grown at the same rate, the bar would be 100%- In fact, median post-tax US income only grew by about a quarter of the pace that real GDP per head did- quite unlike other countries. Some of this might reflect measurement, reporting or data compilation issues, since GDP figures are compiled from different raw data to the household income measures. Indeed the difference looks less stark when you use growth in the mean income as the yardstick (the dots). 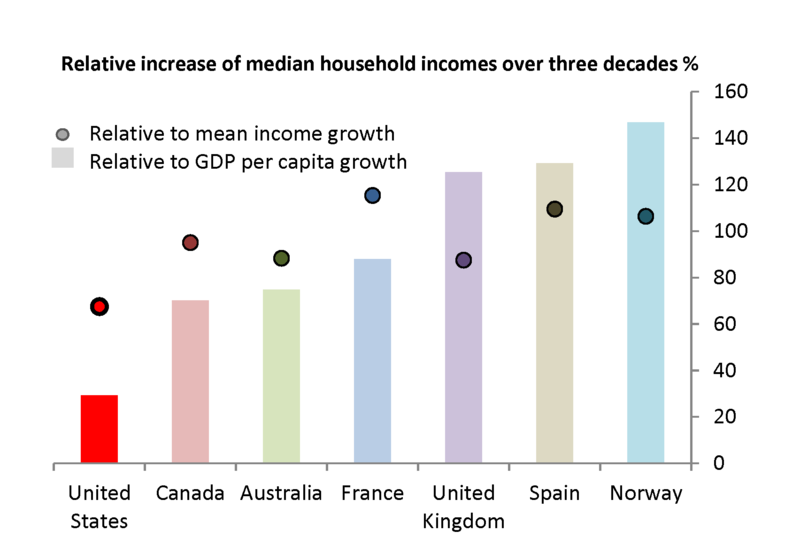 But when you delve deeper into household incomes, the US still looks quite different. As before, the darker dots show the evolution of the median income relative to the mean. The lighter dots show what happened at other percentiles. We see that the bottom half of the distribution had much slower relative growth in the US than elsewhere. 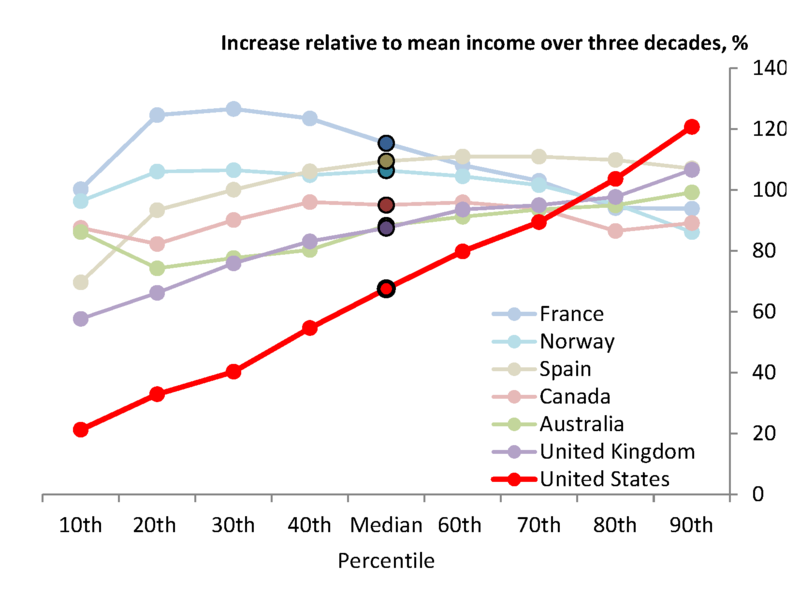 So when thinking about causes or consequences of changes to the US income distribution, we should remember that the US may be atypical and these insights may not carry over to other countries. Next Post Bitesize: Global growth: The *old* normal?